Do You Look Like a Self-Controlled Planner? In an article soon to appear in the Journal of Personality and Social Psychology, Kurt Gray and colleagues question whether we “objectify” other people, if that means to regard them as objects with no mental capacities. They suggest that there are two kinds of mental capacities, and that what’s often thought of as “objectification” may actually a redistribution of judgments about these kinds. They did a series of experiments to test this possibility. The two kinds of mental capacities are Agency and Experience. “Agency”, in these experiments, comprises the capacities for self-control, planning, and acting morally. “Experience” covers abilities to experience pleasure, desire, and hunger or fear. The hypothesis, stated a little more fully, is that people who attended to a target’s bodily aspects would tend to rate those targets higher on Experience and lower on Agency, with reverse effects when attention is focused less on bodily aspects and more on cognitive abilities. They tested this hypothesis in several ways, of which I’m going to describe only the first. The general result of this set of experiments was converging support for the hypothesis. Erin, presented in a head shot that had been cropped from the following picture. Erin, presented in a fairly cleavage-revealing outfit from just below the breasts up. Aaron, presented in a head shot cropped from the following picture. Aaron, presented shirtless from just below the pectorals up. The description given was the same for both, except for the names and corresponding appropriate pronouns. It provided only the information that the person in the picture is an English major at a liberal arts college, belongs to a few student groups, and likes to hang out with friends on weekends. The questions were all of the form “Compared to the average person, how much is [target’s name] capable of X?”. Fillers for X were self-control, planning, and acting morally (combined into an Agency measure); and experiencing pleasure, experiencing hunger, and experiencing desire. (Since ability to experience hunger did not correlate highly with the other two, only experiencing pleasure and experiencing desire were used to compose the Experience measure.) Answers took the form of a rating on a five point scale, ranging from “Much less capable” to “Much more capable”, with “Equally as capable” for the midpoint. The key results of this experiment are that participants who were given Body pictures rated the targets higher on Experience and lower on Agency than participants who were given Face pictures. The differences are not large (.27 out of five for Experience, .33 out of five for Agency), but they are statistically significant. 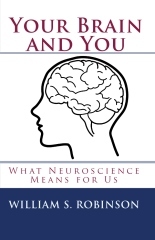 The authors take these results to support the view that “focusing on the body does not involve complete dementalization, but instead redistribution of mind, with decreased agency but increased experience” (pp. 8-9). As noted, the remaining experiments in this study point in the same direction. In a way, that seems to be good news – ‘different aspect of mind’ seems better than ‘no mind, mere object’. The authors make it explicitly clear, however, that being regarded as less of an agent would, in general, not be in a person’s interest. Some other intriguing aspects of this experiment are that the gender of the participants doing the ratings was not found to matter, and Erin came out a little ahead of Aaron on the Agency measure. Since the participants were college students, and thus similar to the depicted targets as described, perhaps we should expect them to rate the targets as somewhat above average in mental abilities. However, one rating was below average: the rating for Agency in response to Body pictures was 2.90 (where capability equal to that of the average person would be 3). The difference between this rating for Body pictures and higher rating for Face pictures indeed supports the authors’ hypothesis, but it leaves me wondering what could have been in the consciousness of those doing the ratings. An even greater puzzle comes from fact that the highest rating was for Experience in response to Body pictures – it was 3.65. (Remember, the highest number on the scale was 5, so 3.65 is about a third of the distance between “Equally as Capable” and “Much More Capable”). So, I wonder: Do college students really think they and their peers are better at experiencing pleasure and desire than the average person? That seems a very strange opinion. This entry was posted on Monday, October 31st, 2011 at 11:50 am and is filed under consciousness, Values. You can follow any responses to this entry through the RSS 2.0 feed. You can leave a response, or trackback from your own site. One Response to Do You Look Like a Self-Controlled Planner?